Anne Wertz Deno, OnSemble’s Product Manager, delivered the OnSemble keynote that focused on the theme that Small Changes Can Produce Big Results. Development has accelerated across the entire platform, opening up new opportunities to our customers. Small changes to responsive design and navigation have opened up a frontier in mobile possibilities. A simple export feature will allow customers to share their best, most creative, page designs with each other. New integrations open up the possibility of amazing workflows. So let’s dive right in. Here’s what Anne discussed during her keynote, the changes that are going to create Big results in 2017. Single Sign On: As cloud technology has become more readily available, organizations continue to rapidly adopt Software as a Service (SaaS) applications to get work done. 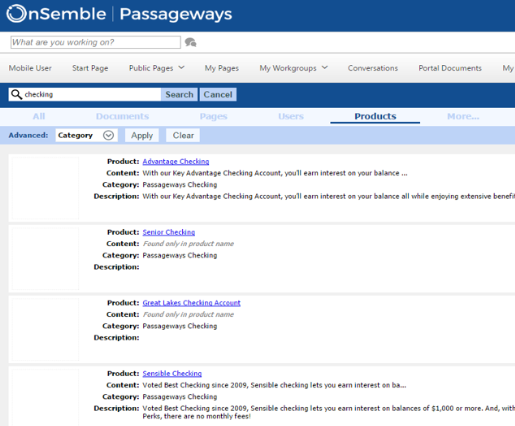 OnSemble now offers the easiest way ever to single sign-on into your favorite SaaS applications. Single Sign-on extends your on-premises Active Directory login into the cloud, allowing you to use one credential to not only sign in to your computer and OnSemble, but also all of the web and SaaS applications needed for your job. 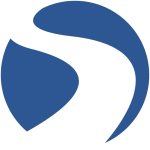 New Search Engine: We want search to work for you, and that’s why we have invested in significant improvements to OnSemble’s search engine. You’ll see more relevant results, a modern redesigned interface, and have the control to further narrow results. For example, if you want to narrow your results to just Products and Services, you can simply exclude all other results to find exactly what you’re looking for. Results will also show the most commonly selected results across the organization as well as your own favorites. Active Directory Enhancements: OnSemble has been integrated with Active Directory since the beginning. In 6.1 we are extending that functionality, that ease of access, to allow for additional fields. In addition you can now translate Security Groups in to Portal Roles. Improved Compatibility for Screen Sizes and Resolutions: A major priority for us since the release of 5.0 has been engineering a responsive design that works for everyone. We’ve been listening to feedback and working to improve how OnSemble is rendering across every display size: big, small, square, and wide, no matter the size. Horizontal Navigation: Accessing the content you need, when you need it, has always been central to OnSemble’s workflow. We’ve built a new option that allows users to navigate across their portal through a horizontal navigation; so that you can build pages that make sense to your design, improve each page’s workflow, and streamline access to your most critical documents. Mobile: Horizontal navigation and improved compatibility for a variety of screen sizes opens up a new frontier of mobile possibilities. These changes present the opportunity to design mobile pages for OnSemble. Responsive navigation offers the option to easily develop a portal that is completely accessible on every mobile phone. So no matter where you’re at, or what device you’re on, you can access your portal and find what you need. Share Your Layout: Have you ever seen an OnSemble portal you just love? Our customers have done amazing, creative, designs over the years, but it’s been difficult to replicate a great design to another portal. This year we are implementing a super simple, one-click, workflow to export your layout. And it’s just as easy to import other’s designs right into your own portal. We want to facilitate this sharing, because together the best ideas will make every portal better. Put Your Portal on Display: OnSemble has long been used to showcase promotions, news, and communications to everyone in an organization. That power can now be very easily extended to your lobby displays by using the new ‘Dynamic Digital Display’ layout. Customers can showcase news, announcements, anything you want, directly in your lobby or wherever your customers may be. Create a poll, display your latest promotion, let your imagination run wild. 2017 destined to be an amazing a year of innovations and changes for the OnSemble platform. We are giving license to our customers to be more creative, to share their brilliance, to streamline their workflows, to use the platform they love to get more done. And just remember, small changes can create big results.